MDC’s Kendall Campus hastily began operations in 1964 at Palmetto High School as a second and “South” campus. North Campus, the first of MDC’s campuses, had been serving a steadily rising number of students (over 10,000 at the time) and struggling with a severe lack of space. In 1963, voters had approved a bond issue that allocated $10.2 million to the College, part of which was to be used for a South Dade campus. The wheels were in motion but the situation was so cramped that the state accreditation department suggested the College open a second campus immediately. The decision was made to open a temporary second campus while searching for a permanent location. Palmetto High School was quickly drafted into service. Even without a permanent location, registration for the first semester at the new campus was overwhelming. It took some planning to make things work. Palmetto High held regular classes until 2 p.m. but the College had to hold morning classes somewhere. Thus it was that Suniland Movie Theater became a school, at least before the start of the afternoon feature show. After 2 p.m., the College scene shifted to Palmetto High where classes continued until late evening. Things were makeshift but functional. The first campus bookstore was run out of the back of a Ryder rental truck. Classrooms weren’t the only pressing need, there were also administrative offices that needed to be operational. Once again, an existing school was pressed into service — Southwest Preparatory School across the street from Palmetto High. While the location was convenient, some elements were less than ideal. Since this was an elementary school, all furniture and equipment were kid-sized. Every day, after regular school was over, maintenance workers removed the tiny desks and chairs and replaced them with more appropriately adult furniture. However, not all things could be moved. It’s reported that thirsty College staff members were seen on their hands and knees sipping from water fountains designed for little tykes. In time, a few portable buildings were put into service. This addition only somewhat alleviated the situation. At one point, one 20 x 35-foot portable room held 17 faculty members plus their desks, a secretary, a student assistant work station, a supply locker and work table, a ditto machine and chairs for 9 students to meet with faculty. Despite the challenges, the College moved on and continued to flourish. Eventually, the College leadership settled on a permanent location – a 185-acre tract of trees and lakes that officially opened as Kendall Campus in 1967. Fifty years later, Kendall Campus is at the forefront of educational innovation serving more than 50,000 students annually and housing branches of The Honors College and the School for Advanced Studies. 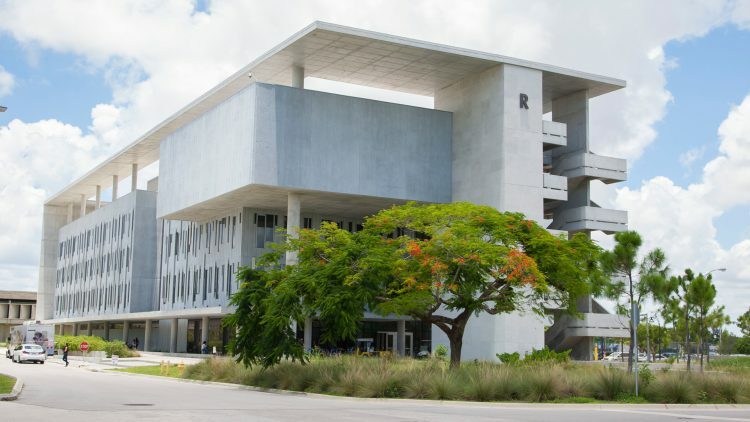 The campus is home to MDC’s highly regarded School of Business as well as programs for those interested in studying, architecture, interior design, engineering and technology, education and English for Academic Purposes. Students are able to pursue a wide range of educational opportunities from professional development courses through College Credit Certificates, Associate of Science and Associate of Arts degrees. The campus is proud to offer Bachelor degrees in cutting-edge fields such as Supply Chain Management and Data Analytics. Kendall Campus is also home to outstanding art studios, music, theater and dance programs, an art gallery and theater, music production studio, the award-winning arts journal Miambiance and the student newspaper The Reporter, an Olympic size swimming pool, a Fitness and Wellness Center, five sports teams, and an Environmental Center.